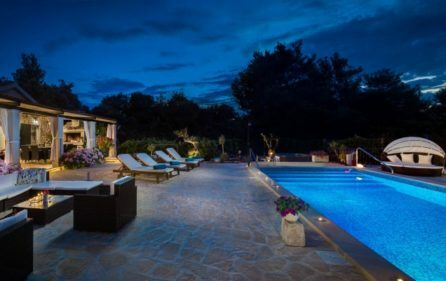 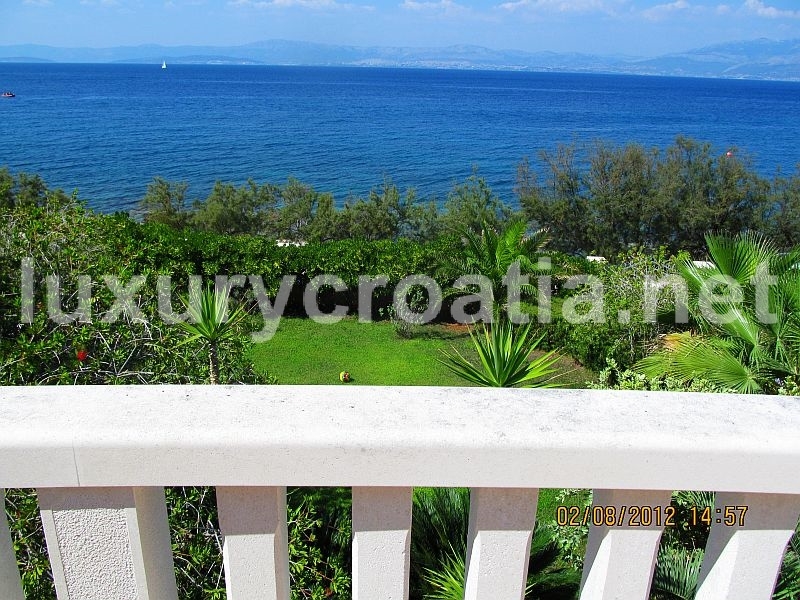 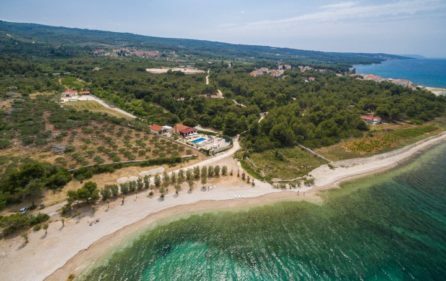 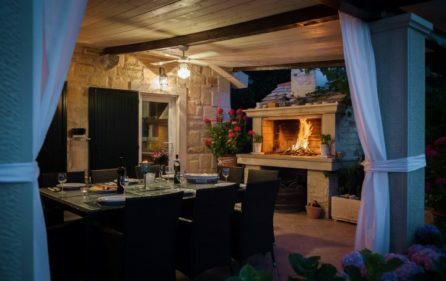 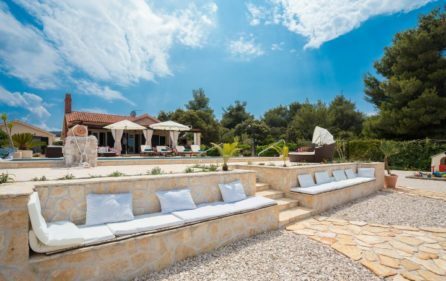 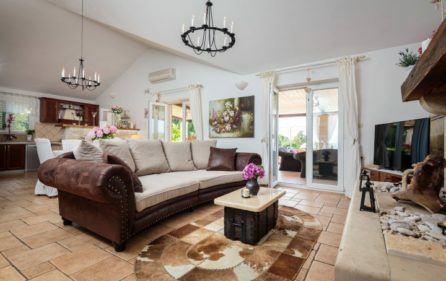 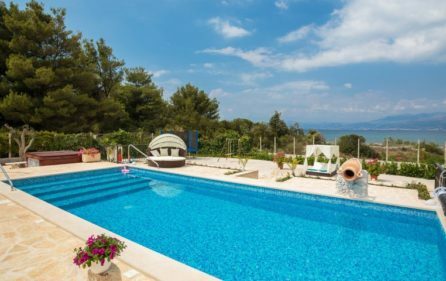 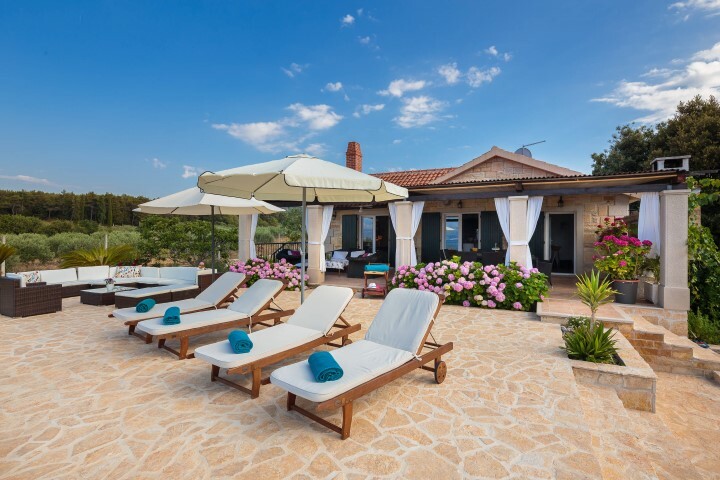 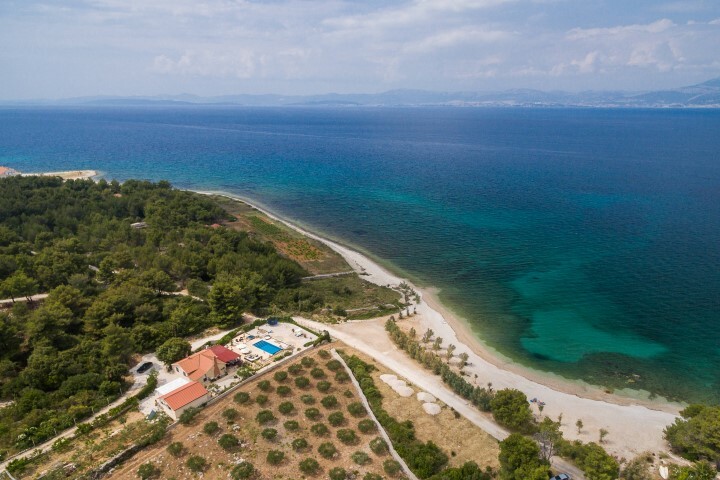 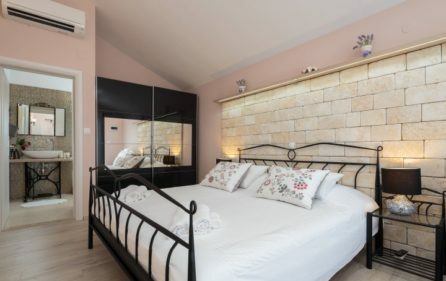 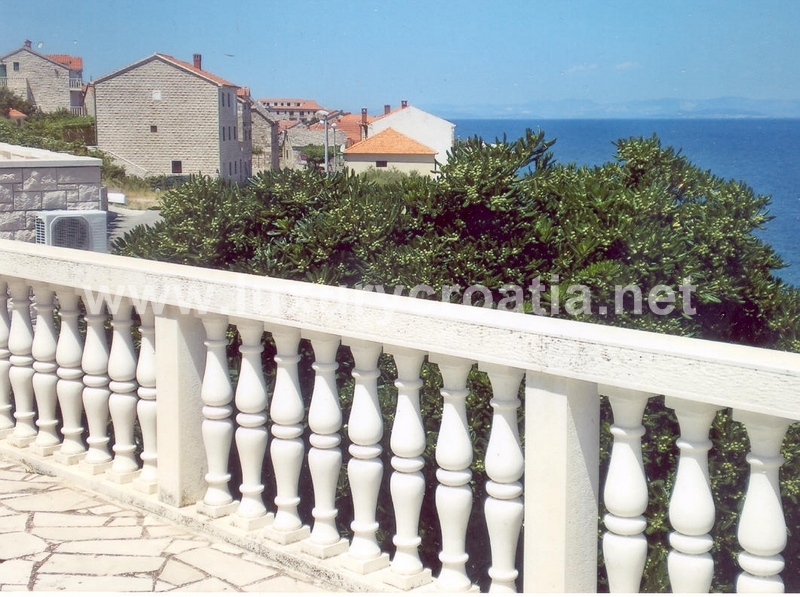 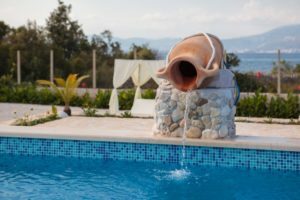 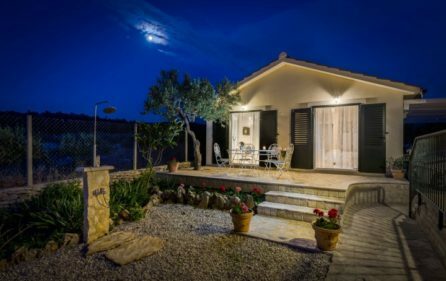 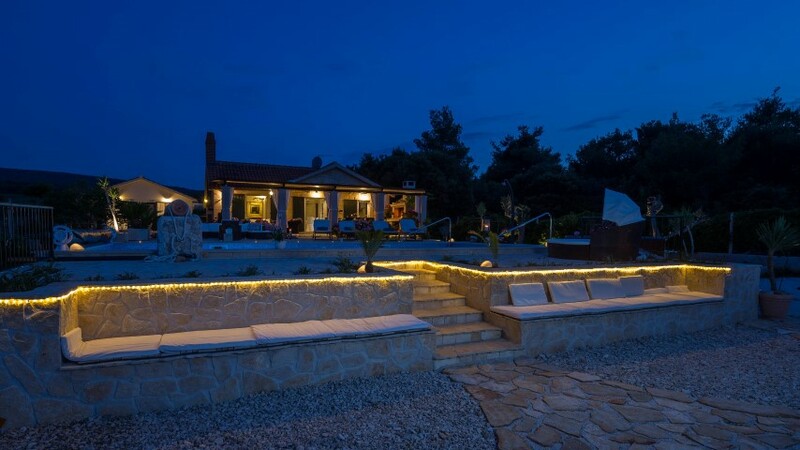 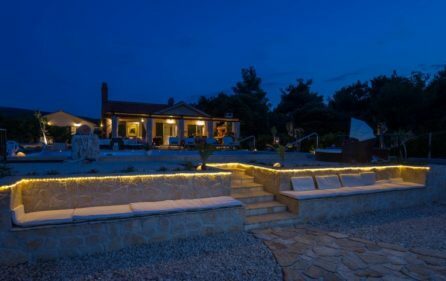 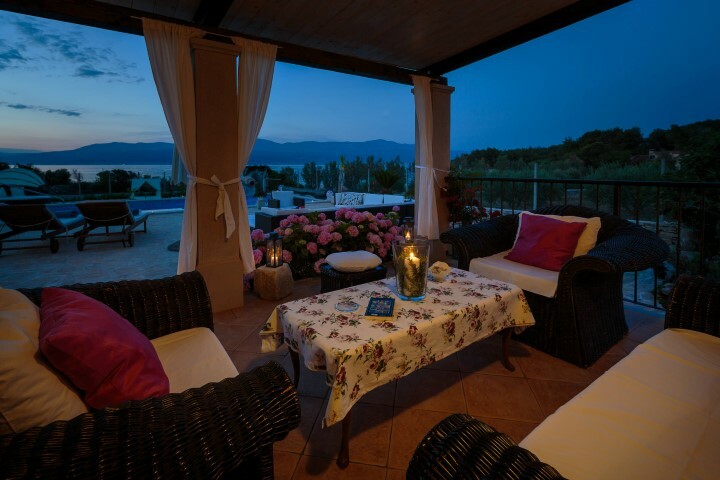 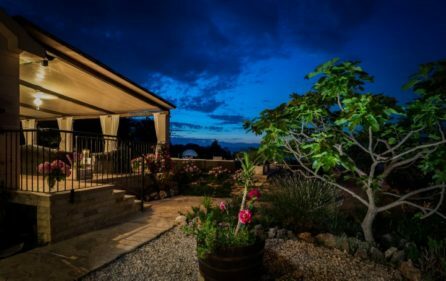 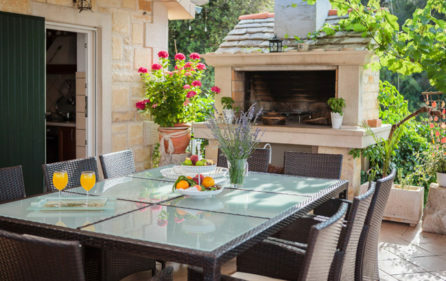 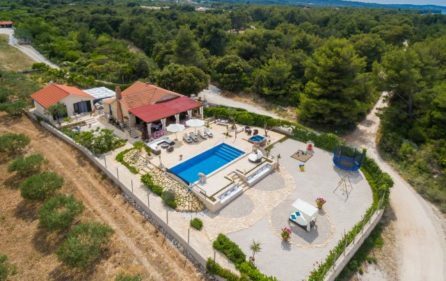 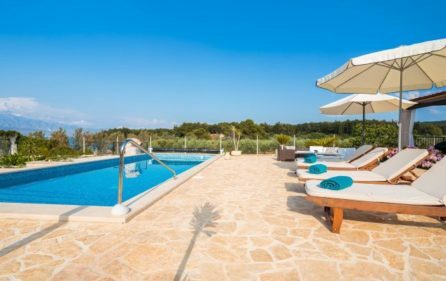 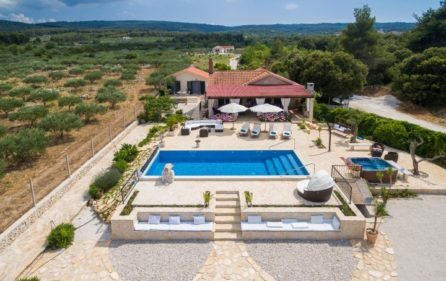 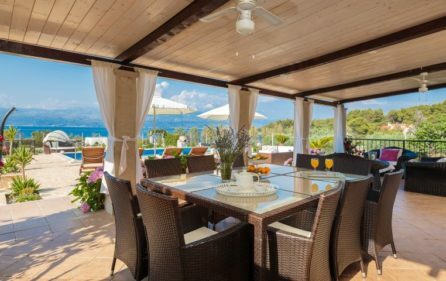 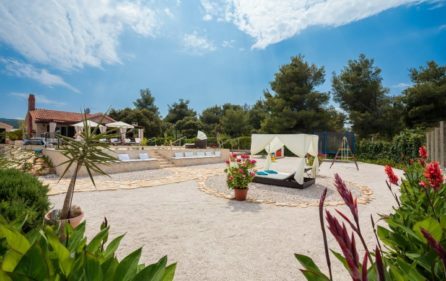 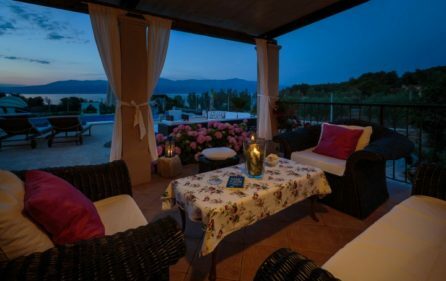 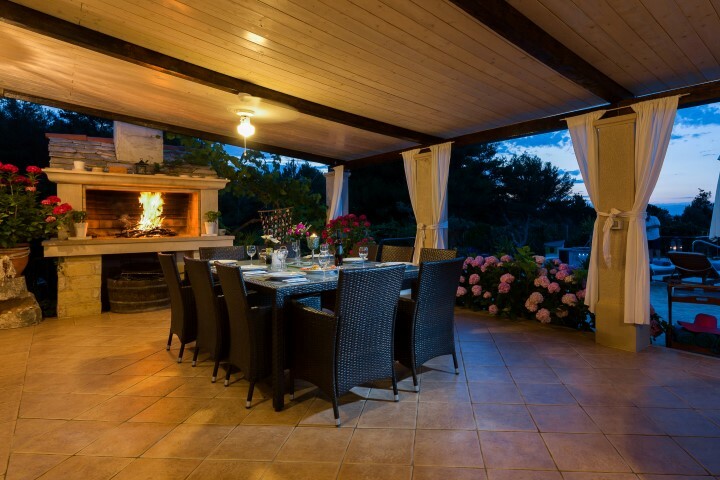 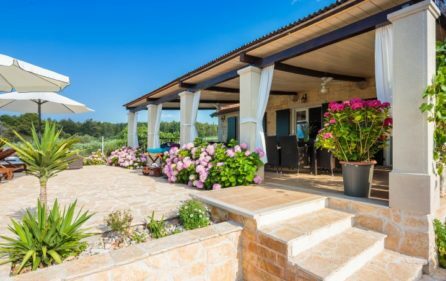 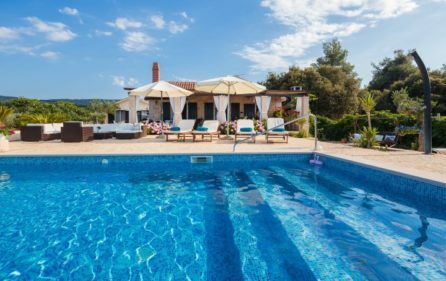 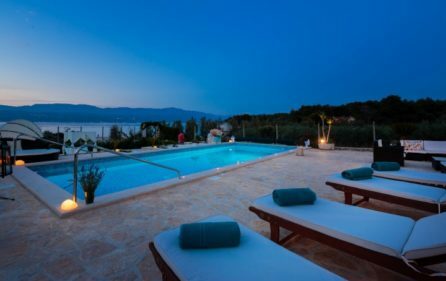 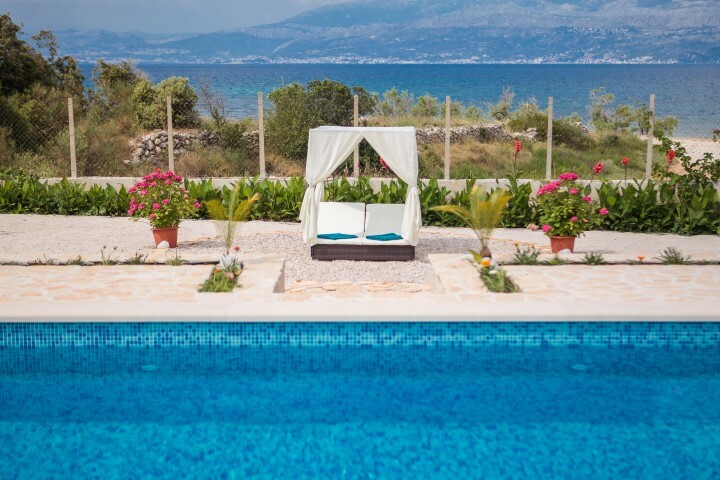 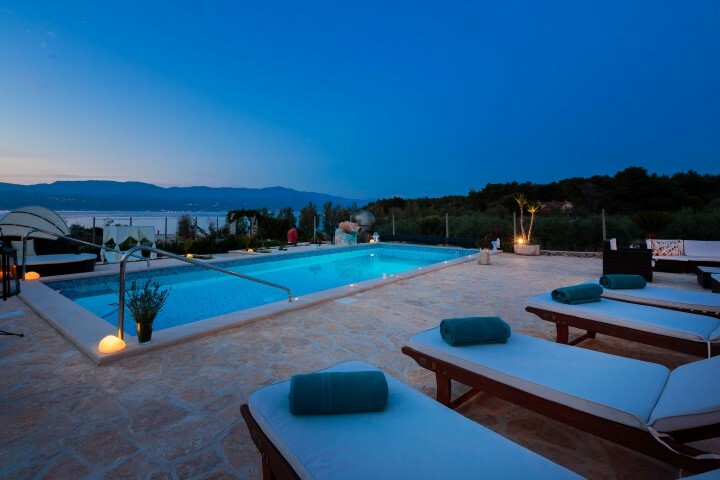 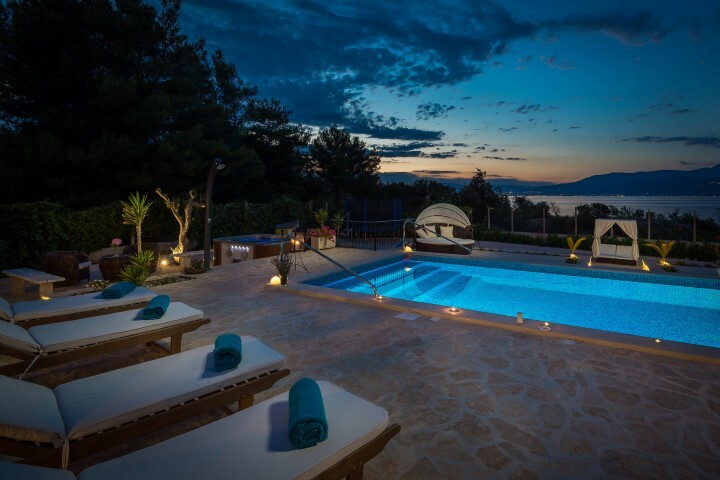 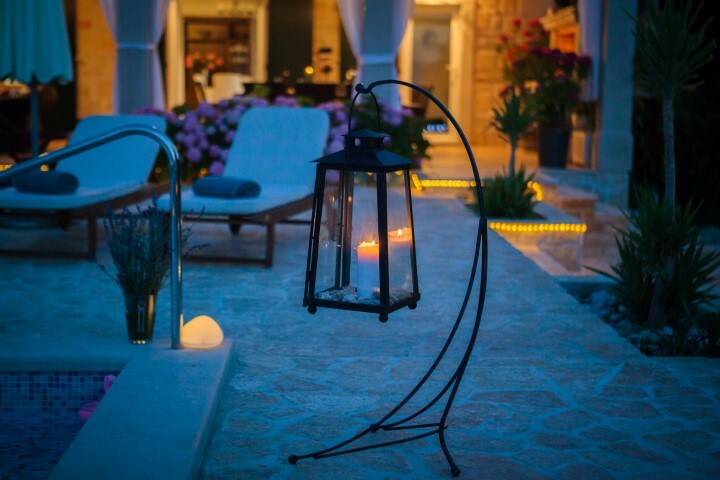 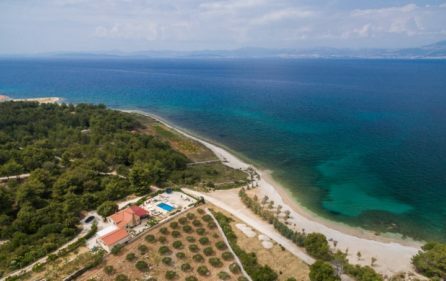 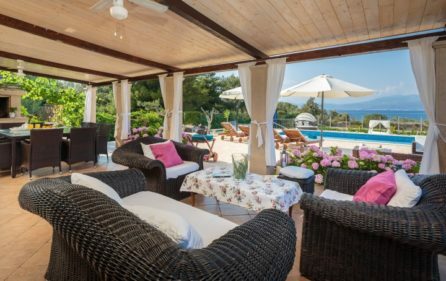 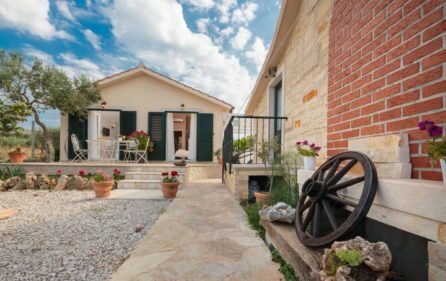 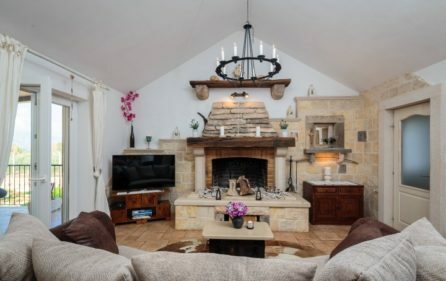 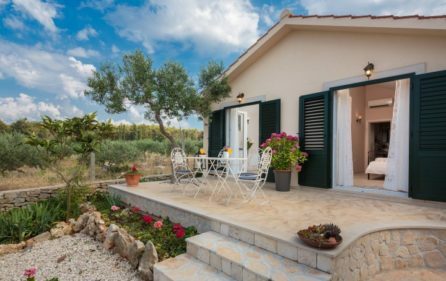 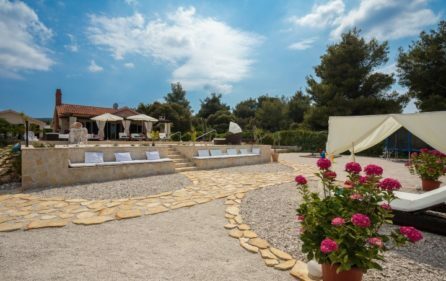 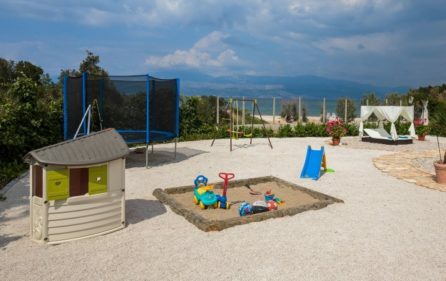 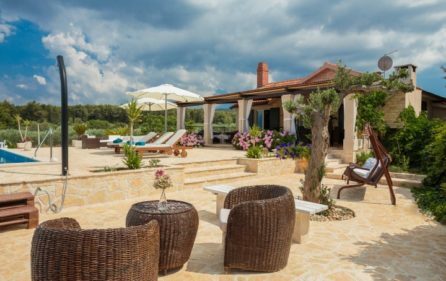 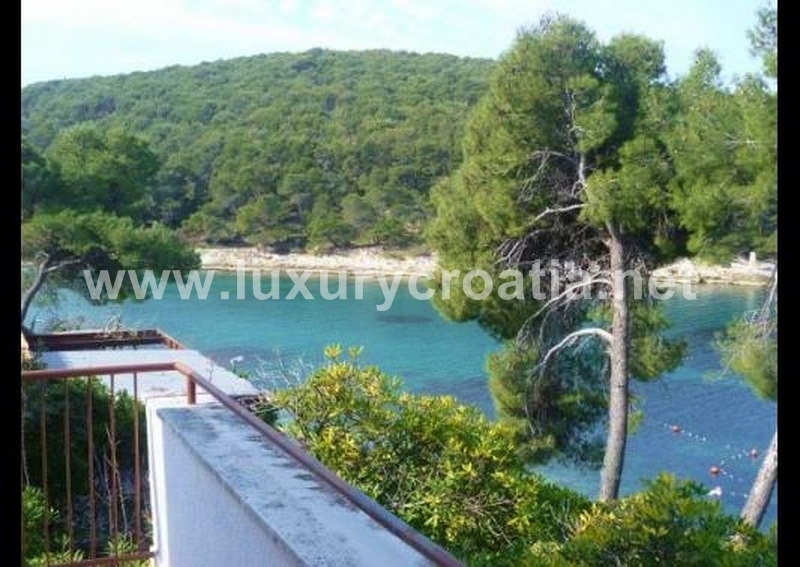 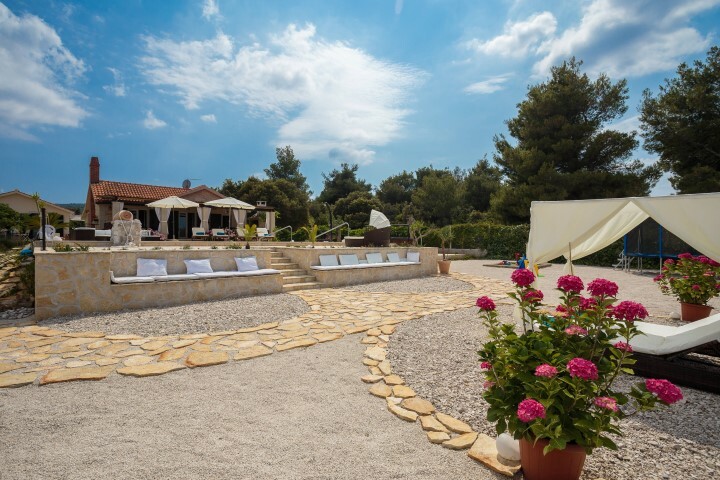 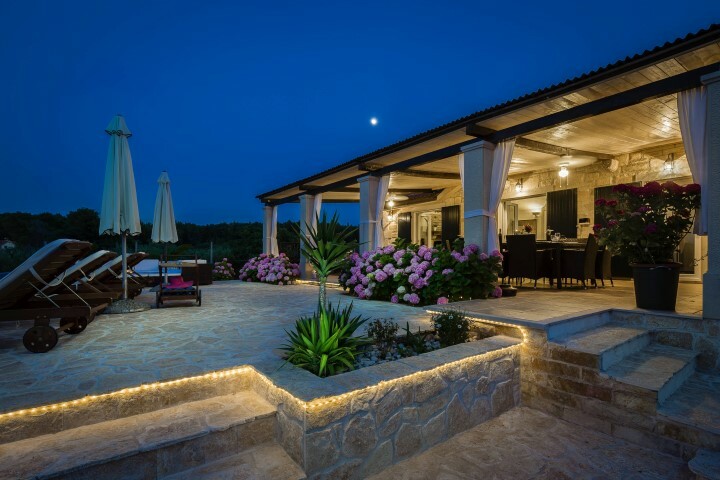 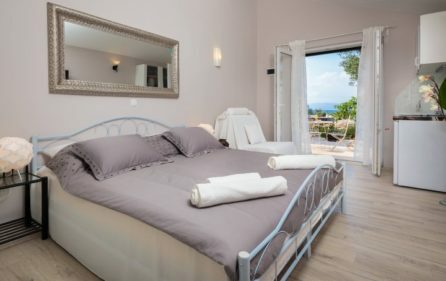 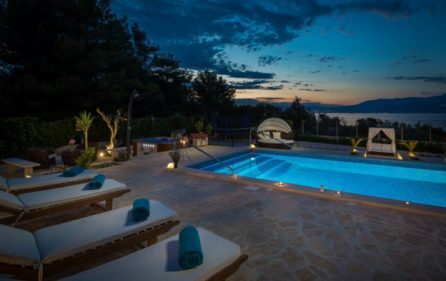 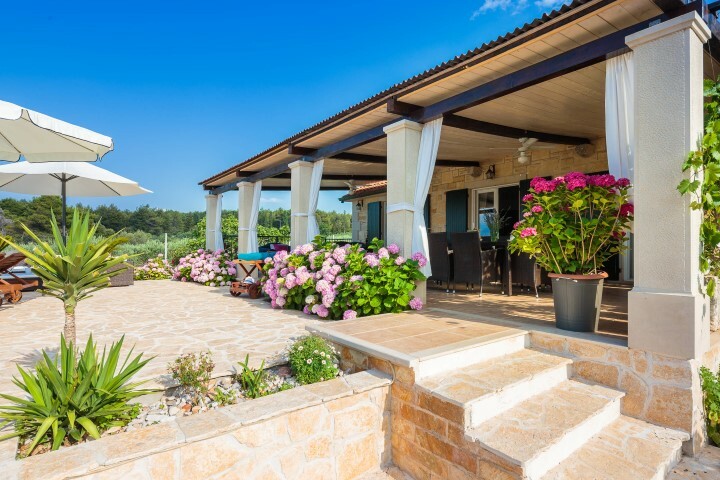 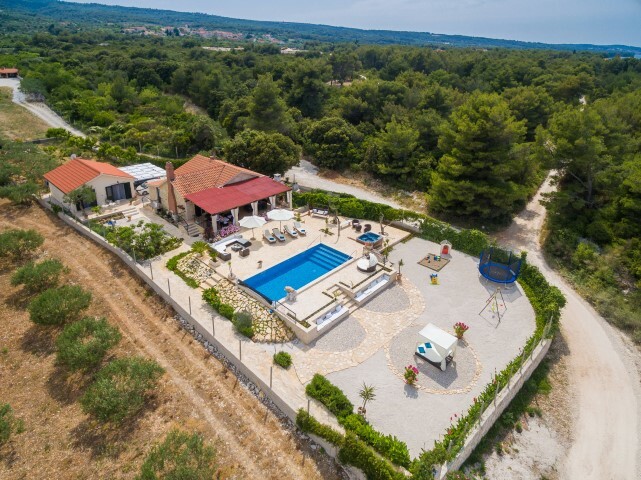 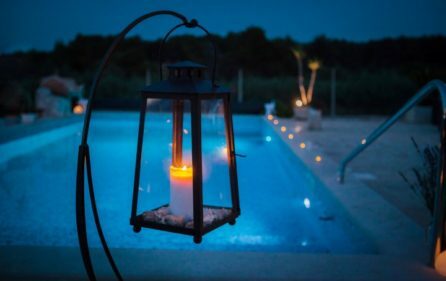 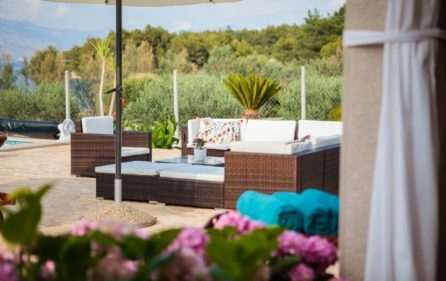 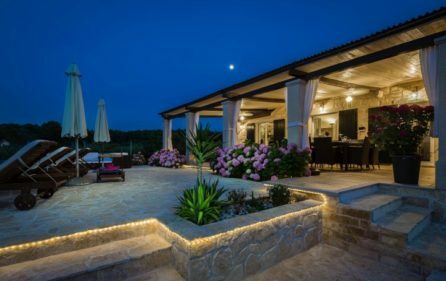 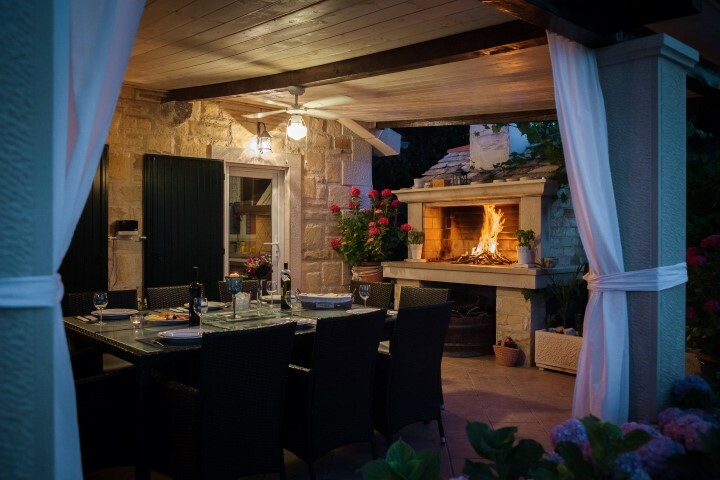 Waterfront villa with pool for rent, Brac is located only a few meters away from the crystalline Adriatic sea, with no road between the property and the sea. 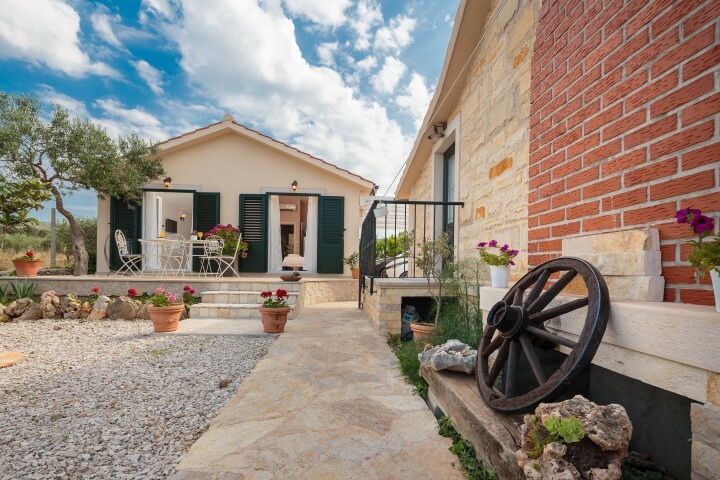 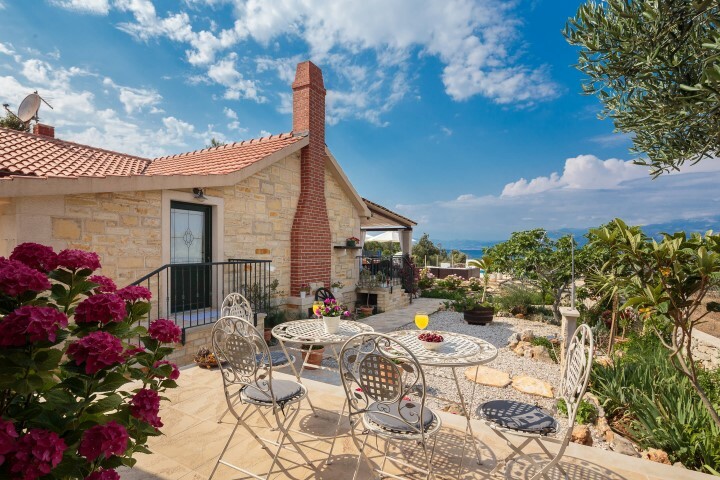 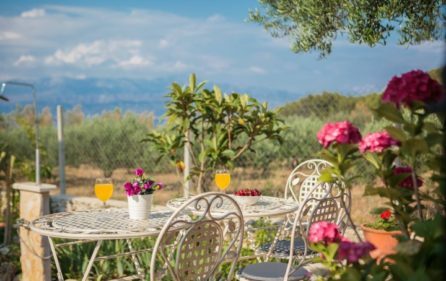 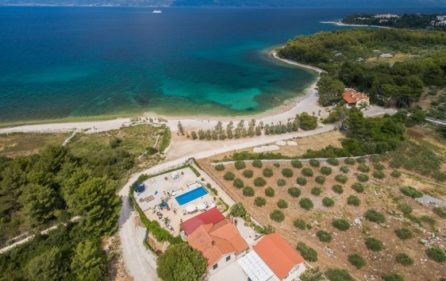 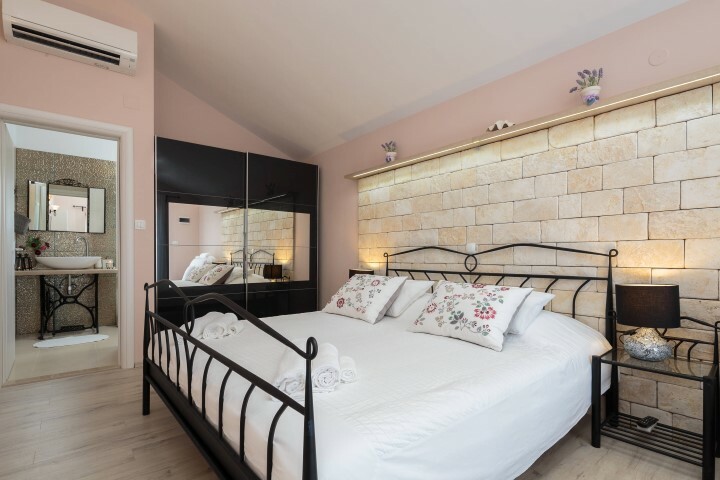 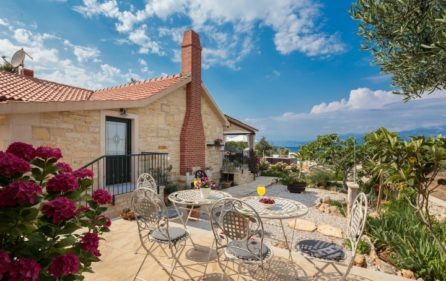 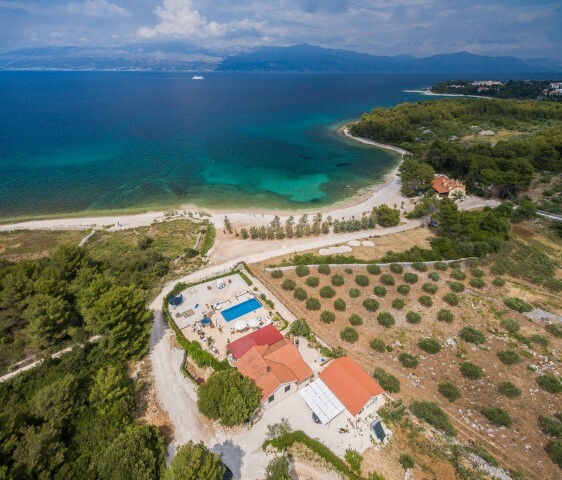 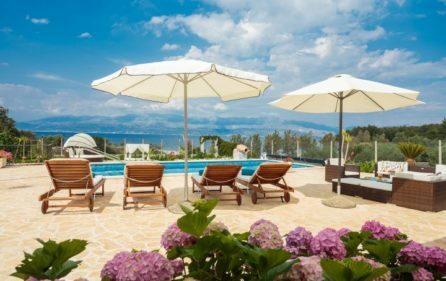 On the northern side of the island Brac, in a beautiful bay lies this seafront villa, situated 1 kilometer from the city of Supetar. 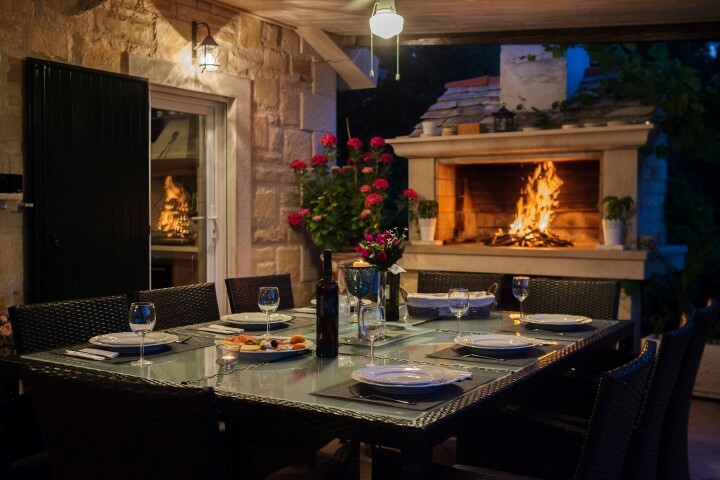 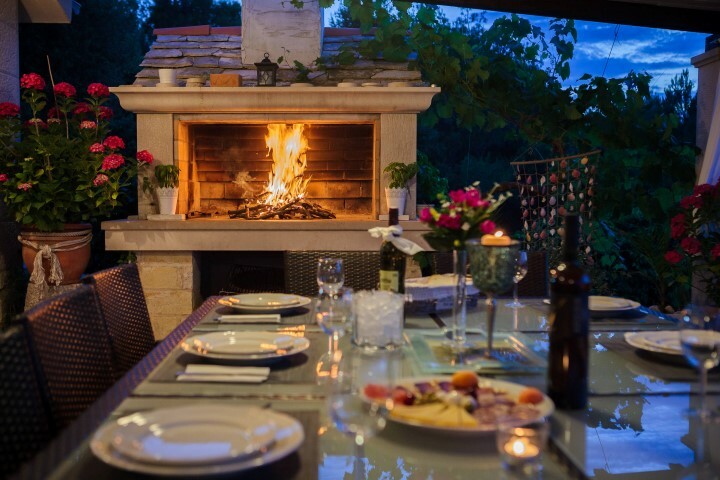 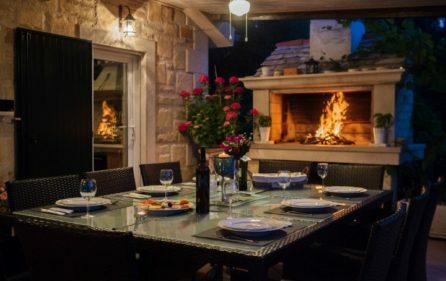 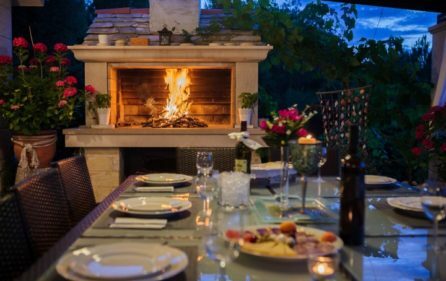 There are many restaurants, taverns and bars close to the house where you can experience extremely good Croatian seafood. 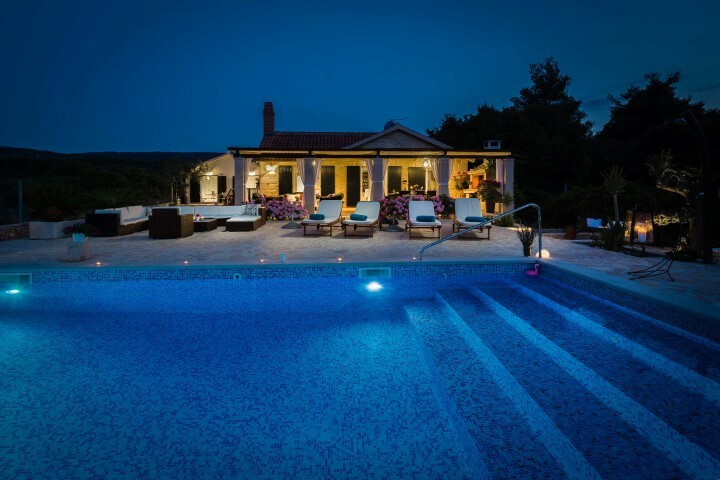 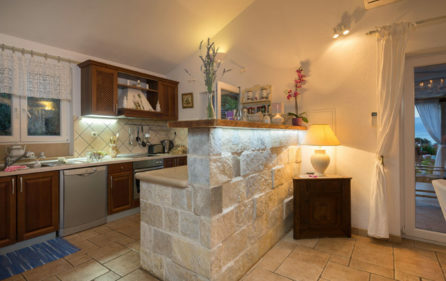 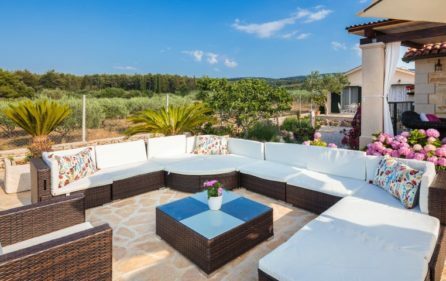 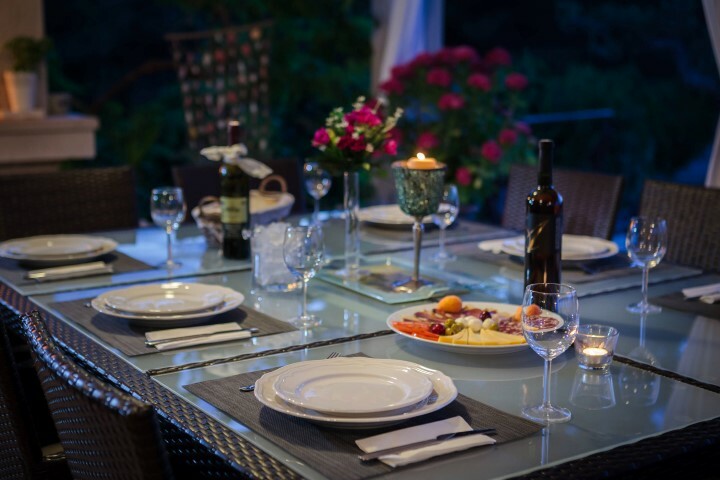 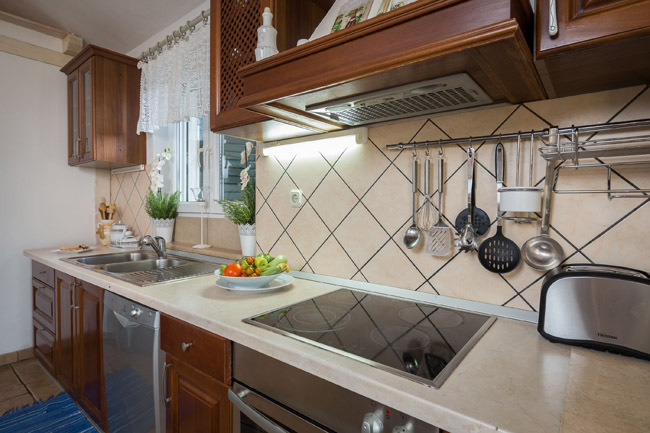 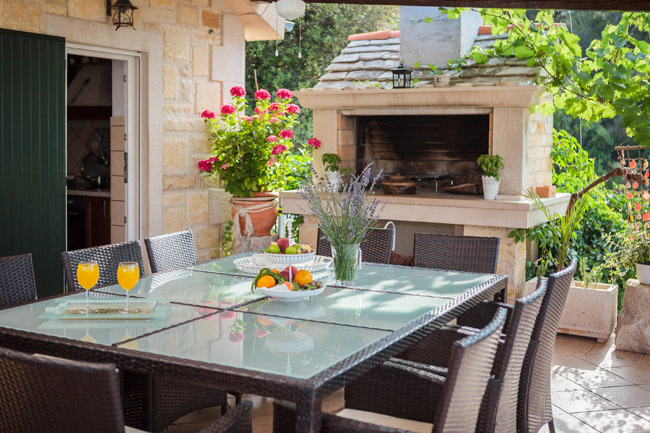 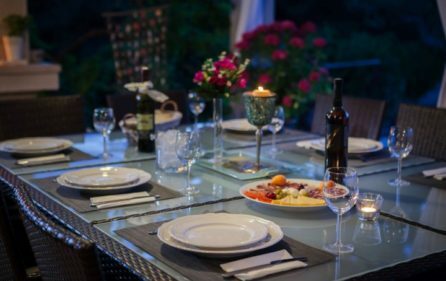 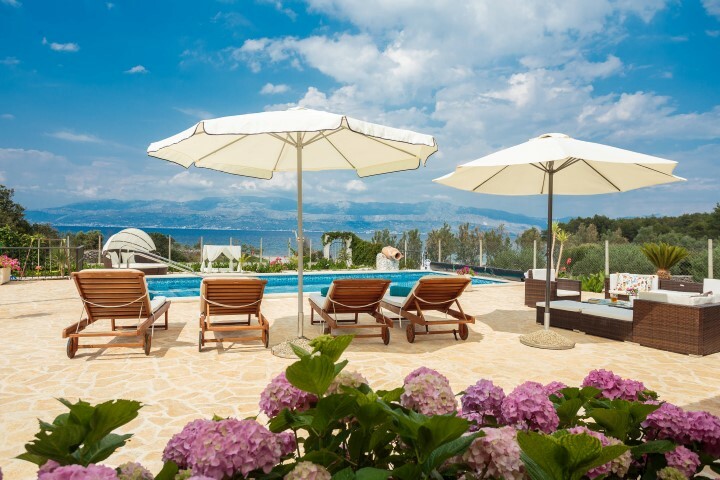 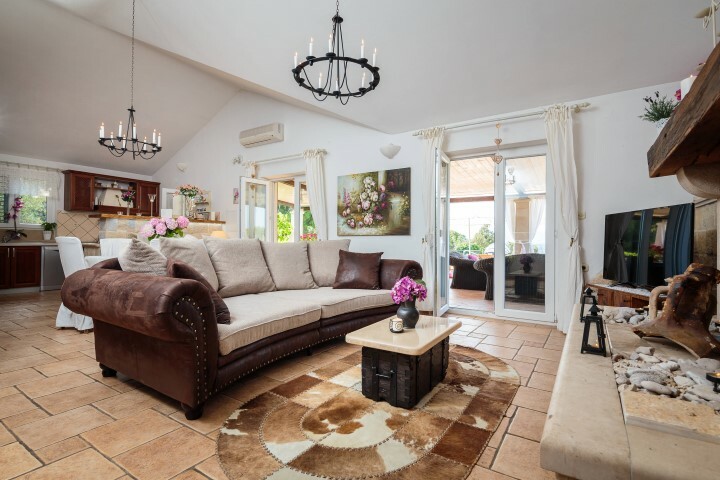 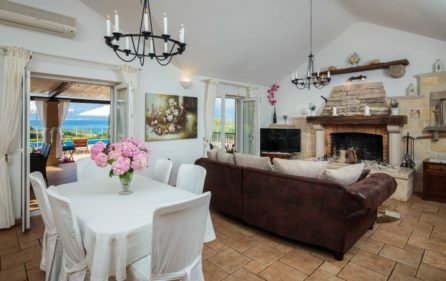 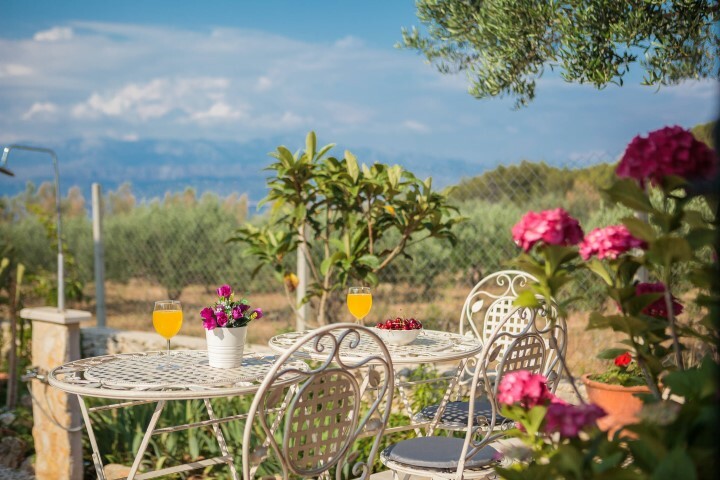 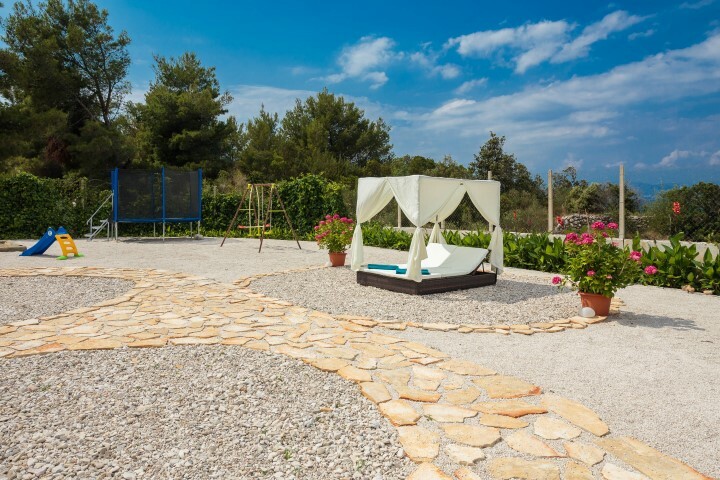 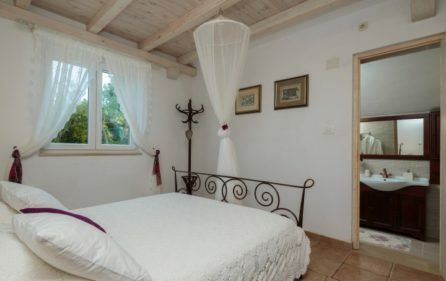 The villa can accommodate up to 8+2 guests. 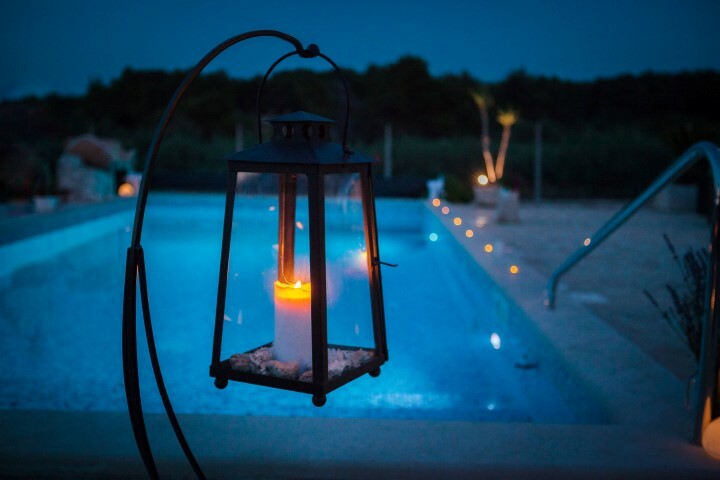 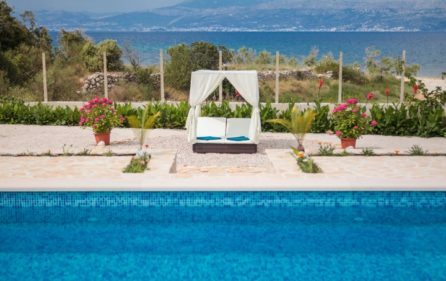 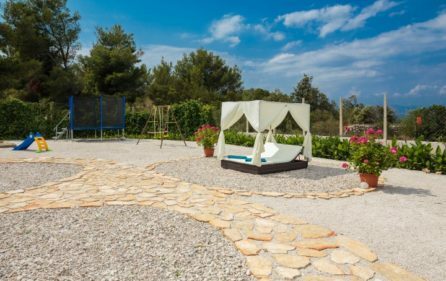 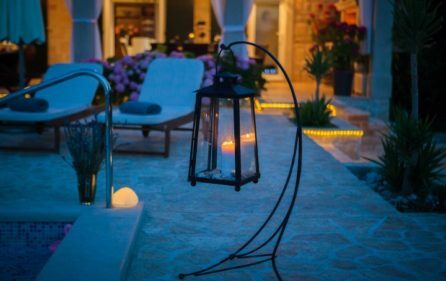 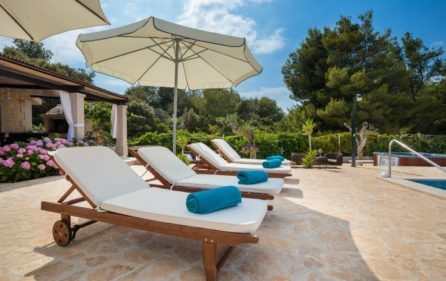 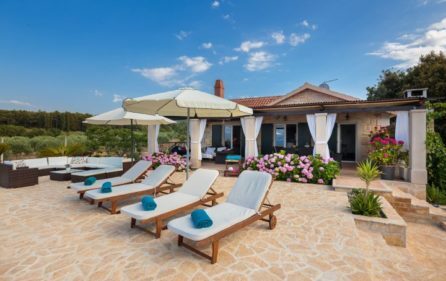 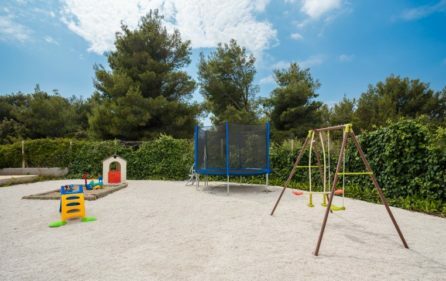 In the garden a private swimming pool overlooks the sea, next to the pool is a Jacuzzi, deck chairs, swings for kids, small playground, covered terrace and a large, stone fireplace. 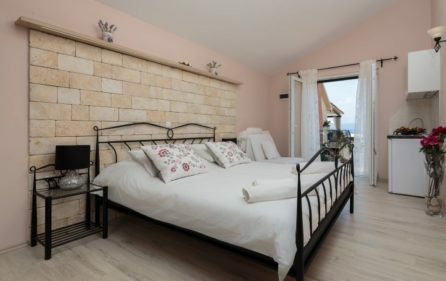 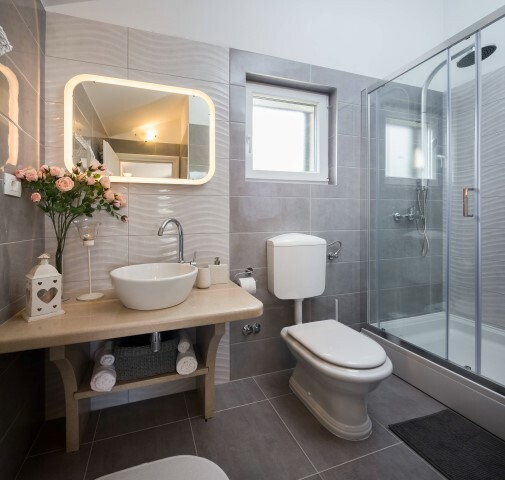 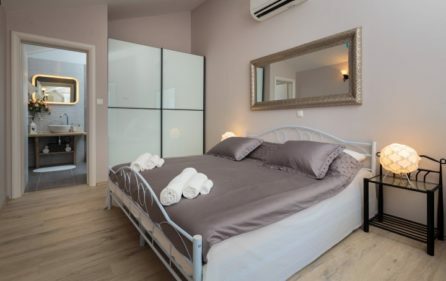 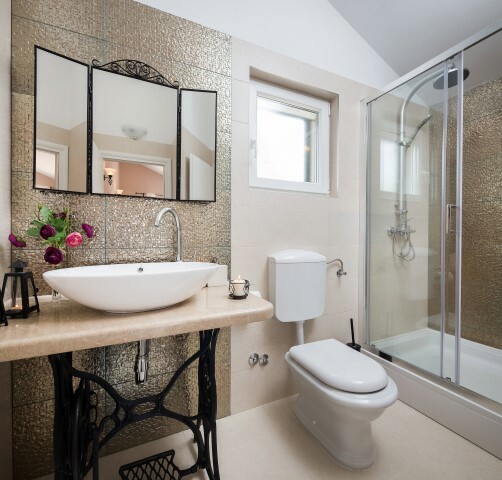 The interior consists of 4 bedrooms, 2 of them with a large double bed and 2 additional beds are available. The ground floor also features a living room with a fireplace, fully equipped kitchen and a table for 6. 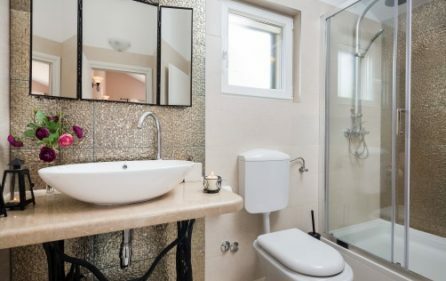 All the rooms are on the same floor. 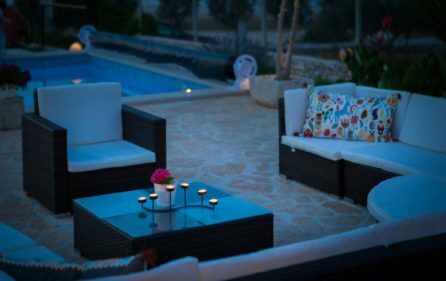 Free Wi-Fi and air conditioning throughout the property. 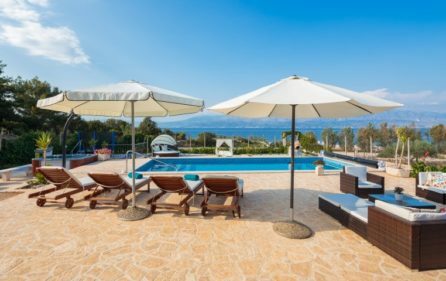 Minimum stay during July and August is 7 days. Changeover day is Saturday. 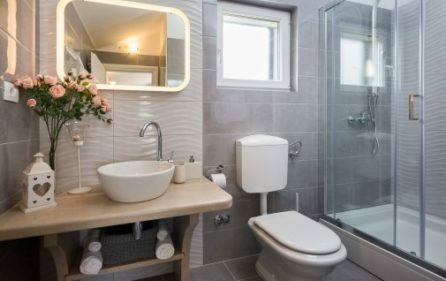 For other periods minimum stay is 3 days.